Great, you’ve managed to leverage your cash on the tables, online poker or some other way to grow it. Now, you want to use that extra cash to buy something you actually want like travel, clothes, etc. It only makes sense to not pay full price for things and extend your winnings even further, right? Well, you’ve come to the right post on Gaming Environment today as we’ve got a great tip. 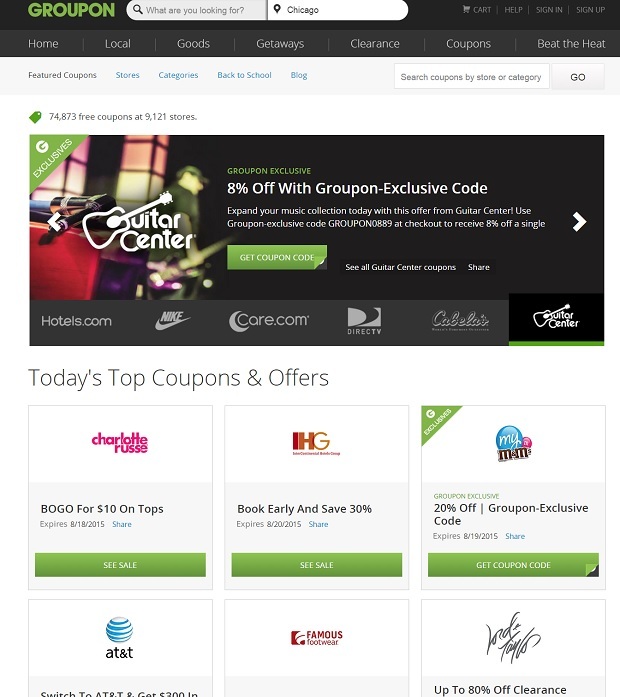 Groupon, you know the company that has infinited deal-a-day offers has released a new vertical for themselves, online coupons. They managed to sign up over 9,000+ companies and more than 70,000 coupons for deals on virtually everything. You can save on everything from diapers at Babies R Us to a Mexican getaway on Expedia. Check them out!